Let’s Encrypt introduced free SSL certificates quite some time ago. It made possible for website owners to offer encrypted HTTPS connection for their visitors totally free of charge. Before Let’s Encrypt, the only way to get a valid SSL certificate was to purchase it from a seller. Let’s Encrypt SSL certificate can be installed with just a few lines of code on a VPS or dedicated server, however, installation on shared hosting accounts is still a bit complicated (unless it uses cPanel). Hostinger doesn’t yet have an auto-installer for Let’s Encrypt SSL certificates (we are working on this), but there is a workaround – it can be installed manually using ACME client written in PHP and composer. This tutorial shows how to install free SSL from Let’s Encrypt on Hostinger shared hosting. Hostinger Premium or Business account. Access Hostinger control panel and navigate to SSH section. Click on Disabled to change status to Enabled. Hit Update button. The page will refresh and you should see information required to connect via SSH. Write it down as you will need it in the next step. We will use ACME client written in PHP and composer to generate Let’s Encrypt SSL certificate. First of all, you will have to connect to your hosting account via SSH and download all required components. If you are running macOS or Linux, you can use terminal to connect via SSH, Windows users can take advantage of Putty SSH client. Note that you need to change your@email.com to your actual email. 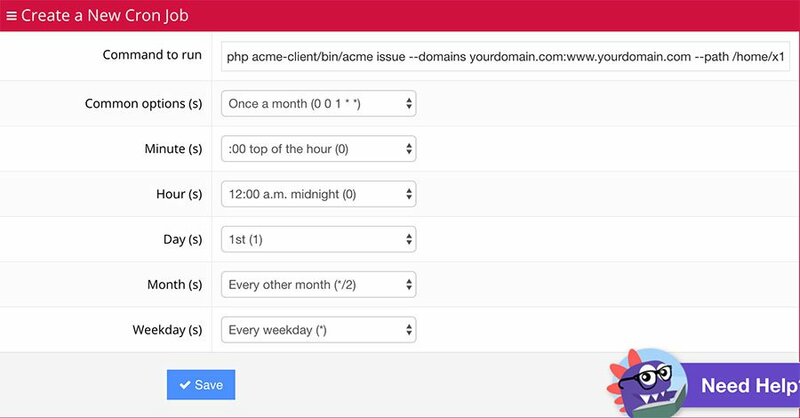 Change yourdomain.com to your real domain name and x123011738 to your actual username (you can check it on Step 1.3). Copy the part marked in red and save it in a text file on your computer. 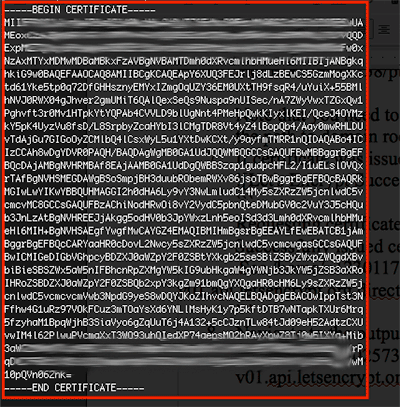 Name the text file certificate.txt. Copy the private key (as shown in the screenshot) and save it in a text file as well. Name it privatekey.txt. The hardest part is over. You can now proceed with the installation of SSL certificate. Access Hostinger members area and navigate to SSL section. 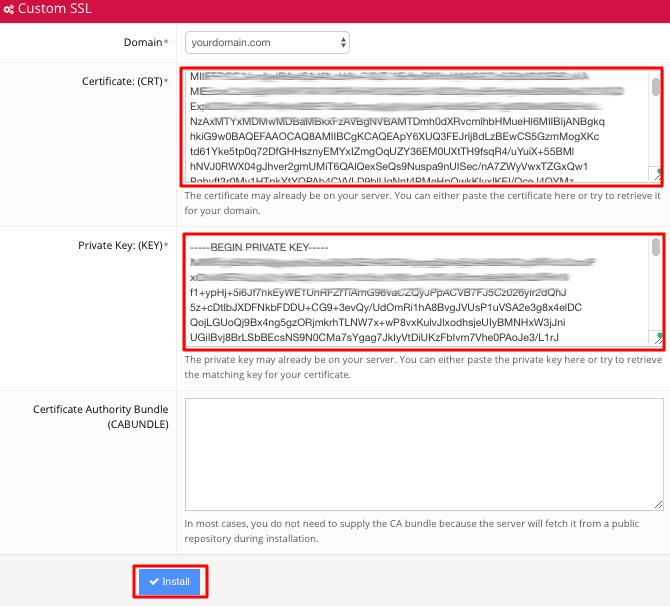 Paste contents from certificate.txt to Certificate:(CRT) and contents from privatekey.txt to Private Key:(KEY) fields. Press Install button once you are done. Once the installation is complete, you will see a success message. That’s it, you have successfully installed free SSL from Let’s Encrypt on shared hosting account. Your domain name will now work via HTTPS protocol. Let’s Encrypt SSL certificates are great if you want to run your websites on HTTPS but don’t want to invest any money. This tutorial intended to show you a workaround you can use to install free SSL from Let’s Encrypt on shared hosting account.